Healers that treat the party's wounds, their knowledge of anatomy an biology assist in disabling your foes. 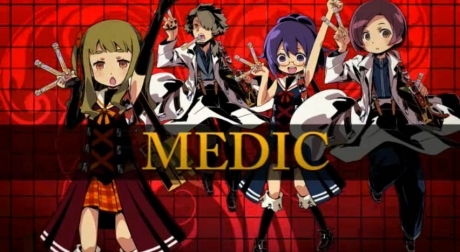 Medic Proficiency: Intense study of medicine increases the amount of HP restored. Healing: Restore some of an ally's HP. Steady Hands: Increases the effect of healing skills for a short time. Heavy Strike: Use your staff or hammer to deliver a stunning blow. Patch Up: Heals some HP for the whole party after a battle.